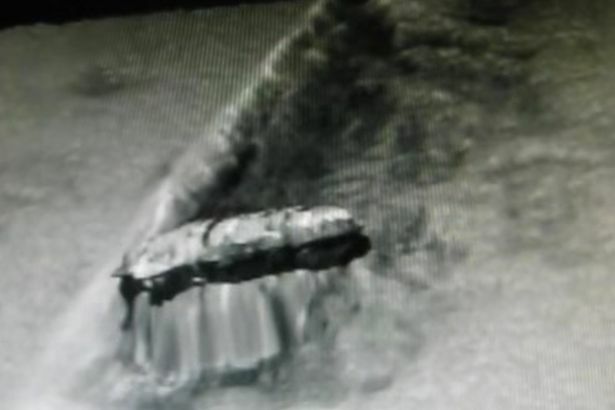 A weird 'alien craft' lying at the bottom of one of the world's oceans is still baffling experts five years after it was uncovered by marine explorers. 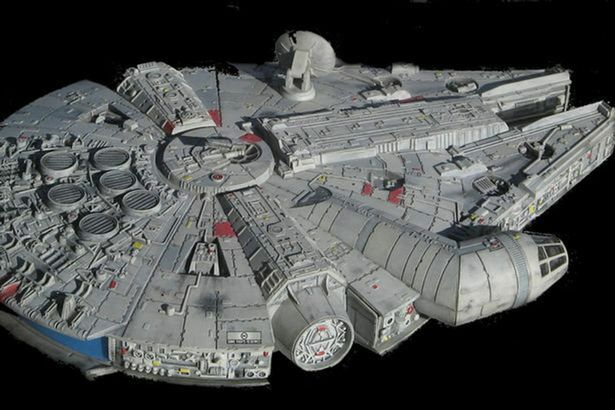 Bearing a striking similarity to the spaceship the Millennium Falcon from Star Wars, the sunken UFO, called the 'Baltic Sea Anomaly', was discovered five years ago by Swedish treasure hunters Ocean X team . A full 91m underwater, the team, led by captain Peter Lindberg and co-researcher Dennis Asberg, spotted it using a used a side-scan sonar. But the curiosity of extra-terrestrial enthusiasts was piqued when the crew revealed a technology malfunction on their search. Measuring 61m wide and eight metres tall, the circular-shaped find was suspected of being everything from a giant mushroom, to sunken Russian ship to an alien spaceship , as shown on this Son of Ma Baker video . And the mystery deepened, as geologist Steve Weiner revealed from his tests that it was not a geological formation - revealing that the structure was created from "metals which nature could not reproduce itself”. Volker Bruchert, an associate professor of geology at Stockholm University, revealed: “My hypothesis is that this object, this structure was formed during the Ice Age many thousands of years ago," reports Life’s Little Mysteries.com . Lindberg and Asberg apparently told to Open Minds.tv that the samples they gave for analysis weren’t from the object itself, but from the “vicinity” of the object”. In 2015, Lindberg wrote an update for What's Up in The Sky , saying that although they had not recently visited the 'anomaly', they had passed by with the side-sonar in the water. However, they couldn't see anything new to report. He added of a planned upcoming visit: "We will pretty much just be able to do the same things as we did in 2012. It is not for sure yet but since we're involved in a new TV project it might give us the opportunity." In response to a question an answer session, he told one interested commenter what he believed it could be. "I think it is something natural, however very odd in its shape. It is very difficult to give an explanation what it might be exactly since different scientists have different theories. "So what should I, who's a simple treasure hunter and not even an amateur within the different fields of science, think?" But Linberg's resistance to identifying the anomaly hasn't stopped alien fans from speculating that it's tech from another planet - even after five years.